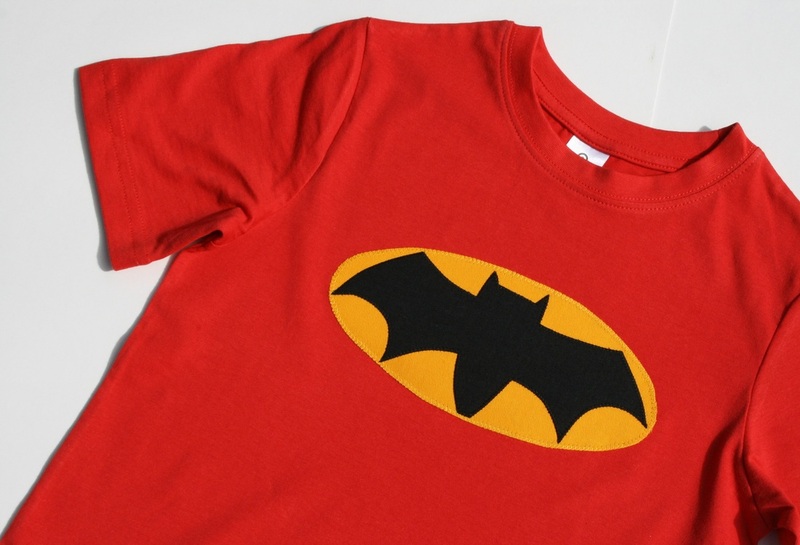 I have appliqued a yellow and black Batman symbol onto a red t-shirt. All of the fabrics used and the t-shirt are cotton. At the end of a busy bat day get Mum or Dad to throw this t-shirt it in the washing machine for the next day's Batman adventures. Colours can be customised on this t-shirt. This T-Shirt comes in the Batman Super Set with a matching Super Cape and Reversible mask or can be purchased separately. 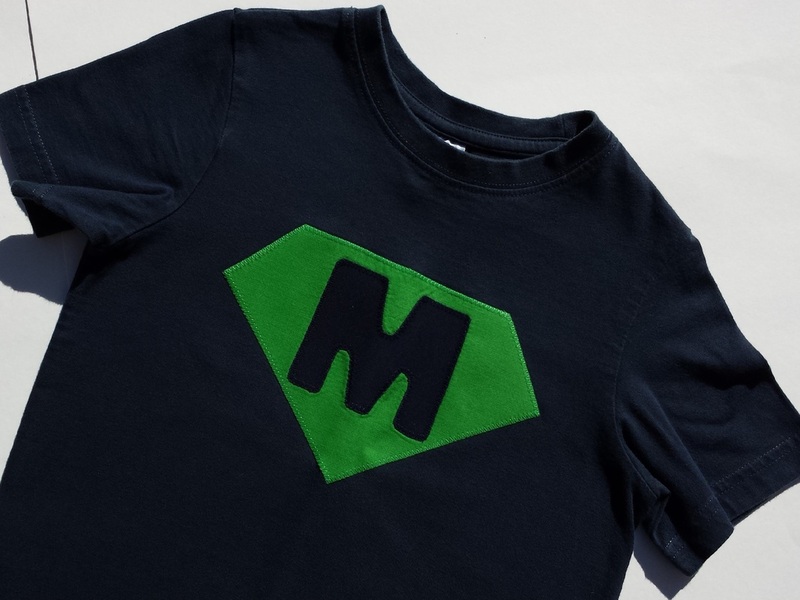 This navy T-shirt has been appliqued with a green super symbol. Don't worry you won't have to change your child's name to something starting with "M" I can do this with any letter and in lots of colours. This T-Shirt comes in the Personalised Super Set with a matching Super Cape and Reversible Mask or can be purchased separately. Can you make a paper plane that can fly? 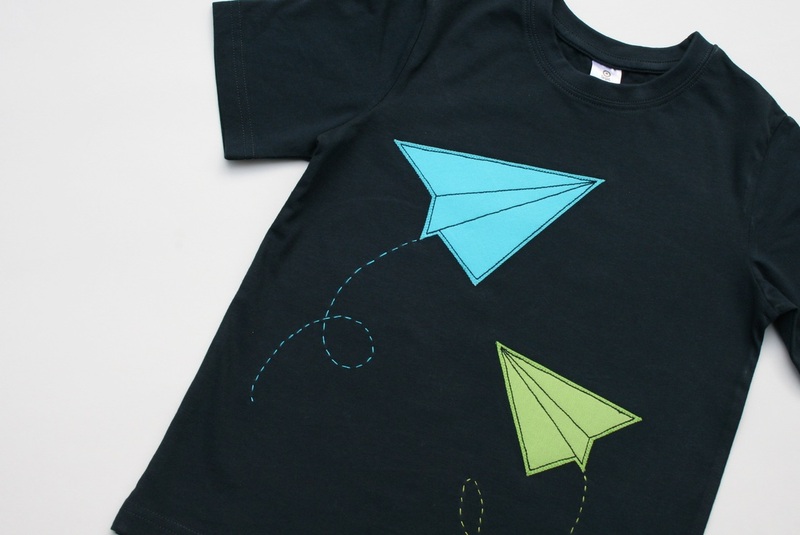 This T-shirt can with 2 paper planes making there way across the navy blue sky. The planes can be customised to whatever colours you require. What little boy is not in LOVE with Fire Trucks! Both of my boys want to wear this shirt all of the time. 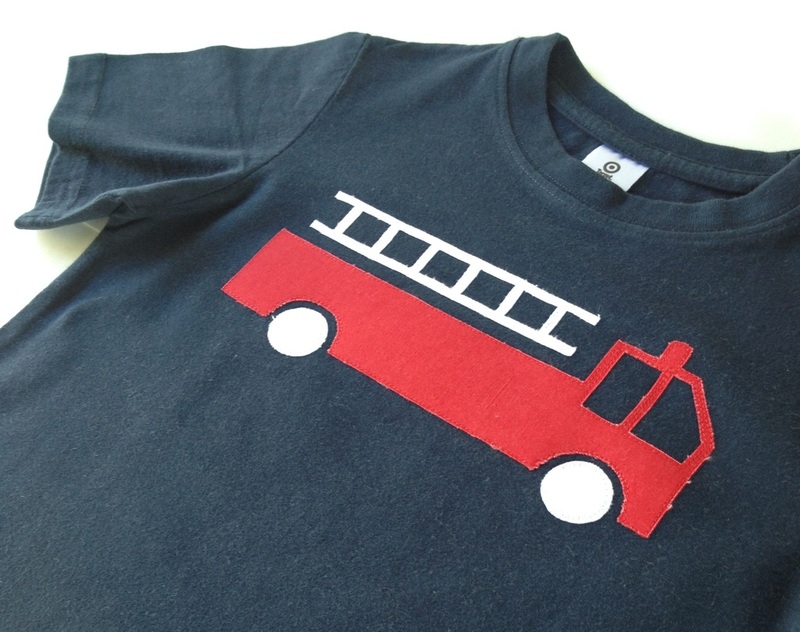 I have appliqued a super cool red and white Fire Truck onto a navy blue t-shirt. All of the fabrics used and the t-shirt are cotton. These t-shirts are designed to be easy with a busy family, just throw them in the washing machine. For the cement truck obsessed hardly a day goes past that you don't spot a cement truck driving around and now a matching t-shirt. 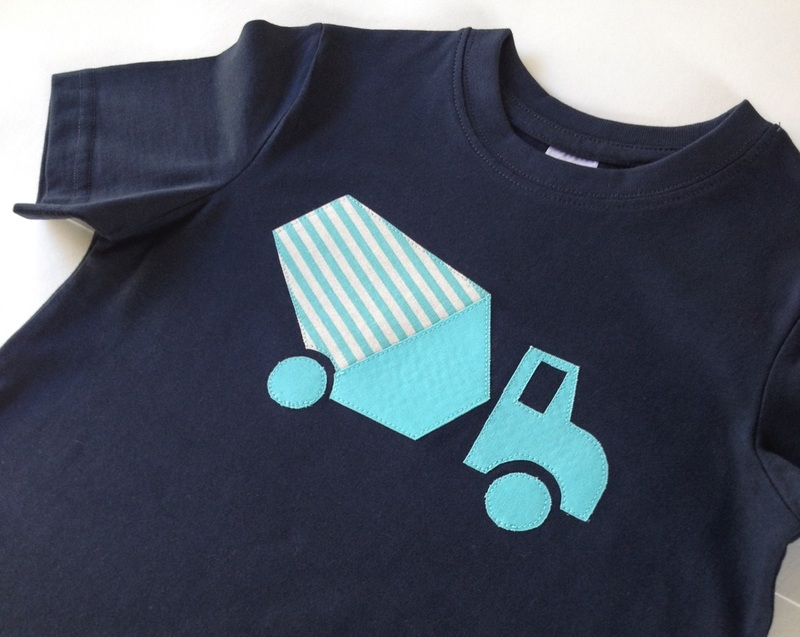 I have appliqued a cute blue and white cement truck design onto a navy t-shirt. All of the fabrics used and the t-shirt are cotton. At the end of a busy day throw in the washing machine, no hand washing or dry cleaning required. My son Henry had a garbage themed 4th birthday party and so this shirt was for him. Who knew the garbage truck's arrival would be a highlight of the week after having children? 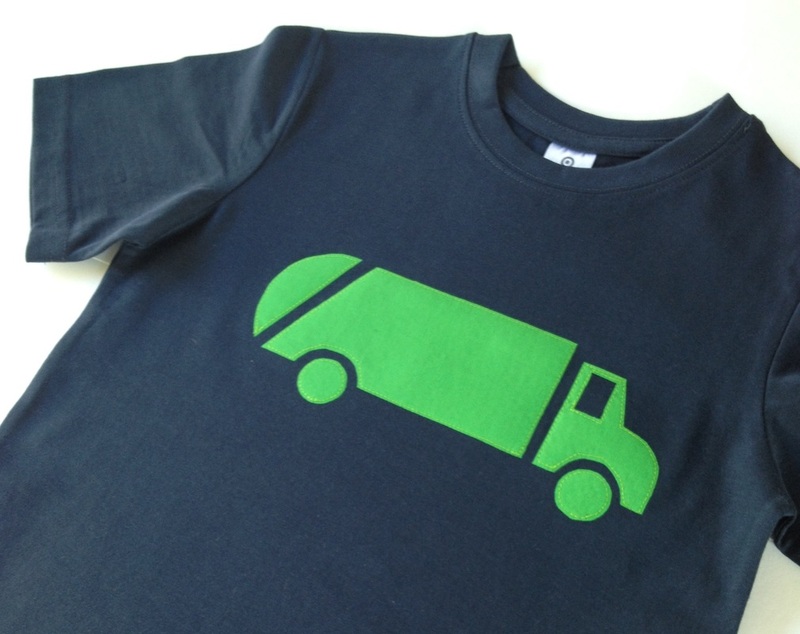 I have appliqued a green garbage truck design onto a navy t-shirt. All of the fabrics used and the t-shirt are cotton. Machine washable is a must in my house and it can. A shirt that parents and children love. Children love the truck design and parents love that they can find the kids easily in the bright orange t-shirt. 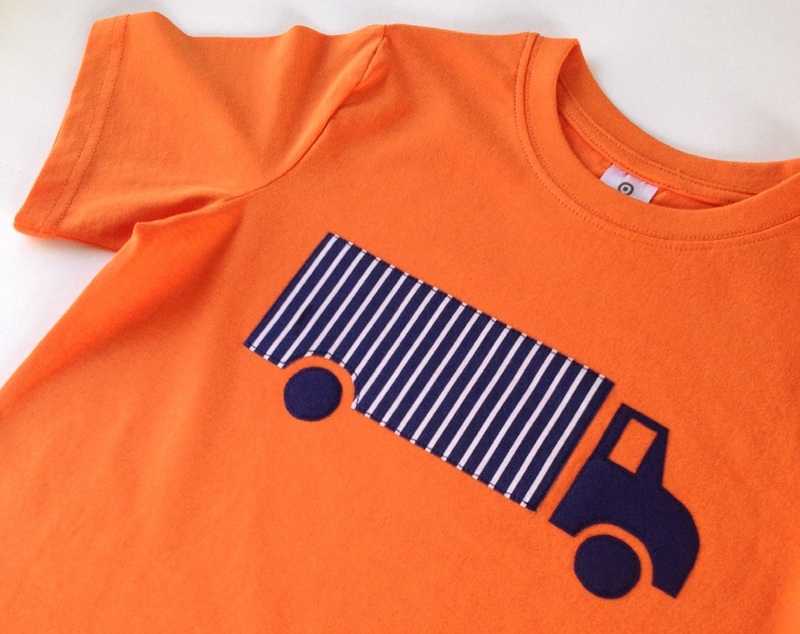 I have appliqued a beautiful navy blue and white delivery truck onto a orange t-shirt. All of the fabrics used and the t-shirt are cotton. No hand washing required for this handmade t-shirt, just put in with your usual mountain of washing. No construction site is complete without a dump truck. Hopefully this one won't be covered with dirt and sand before you leave the house. 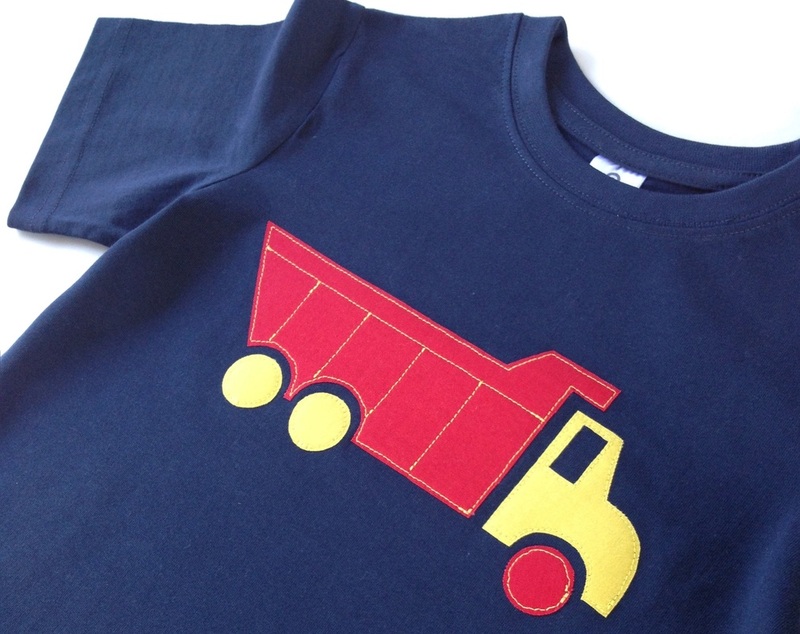 I have appliqued a red and yellow dump truck onto a navy t-shirt. All of the fabrics used and the t-shirt are cotton. After a busy day at the construction site or sand pit this shirt can be machine washed. This shirt was designed for Mitchell's frog themed 2nd birthday party. He does a great frog noise so when he wears this t-shirt I get to hear it all day. 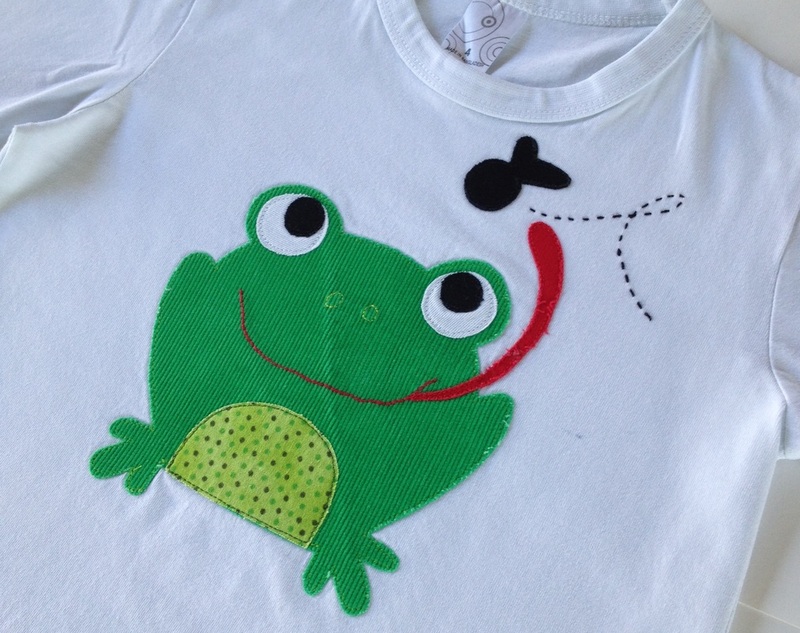 I have appliqued a friendly and very hungry frog onto a white t-shirt. There are also hand stitched details on the frog and so these differ from shirt to shirt. All fabrics used and the t-shirt are cotton. This t-shirt is machine washable. A super cute t-shirt with a handmade design made by me. First I hand cut each design from fabric then machine or hand sew the design onto a t-shirt. The applique has a raw edge so it can fray slightly, if it happens just snip off the fray if it bothers you, I think it adds character to the design. Each t-shirt I make is slightly different even though I use the same templates and I strive to get them just like the photos. At times it can be difficult to source some colours and sizes of shirts. I am currently using Target shirts as they are better quality than many others on the market but I am at the will of the people who do their orders. When you contact me I can advise you if I have the quantity and size shirts you require before any payments are made. Sizes available are boys 1-7. These shirts are also perfect for girls, just no frilly bits. I find that the size is true for the age of the child ie a 3 year old child in a size 3 shirt. If you are in any doubt please go into their store and try on the shirts. Short and Long sleeve t-shirts options are available. As a busy mother of 2 boys, clothes need to be machine washable. All of the Noisy Kids T-Shirts meet this criteria - no hand washing or dry cleaning here. Please submit a separate order form for each t-shirt you wish to order or email me regarding extra items, so that I get all the details correct for each shirt. I will combine your order and post them together if you are ordering multiple items. Once I receive payment for you order, I will begin making your t-shirt. It will take up to 2 weeks for your t-shirt to be handmade depending on the craziness of my house at the time. I will lovingly make your t-shirt and do not want to rush it. I will never send you any item I am not 100% happy with. Postage for your order (no matter how many items you order) is $3 inside Australia via regular Australia Post. Depending on where you live delivery can take up to 1 week. Select t-shirt design required. If more than one design is required please submit a separate order form for each t-shirt order. Please select the size shirt required. I find that the sizes are true ie a 4 year old child will fit a size 4 shirt. If you are choosing a boy style shirt for a girl then choose a size down. Please indicate short or long sleeve. Anything else that you need to tell me to get your t-shirt just right.